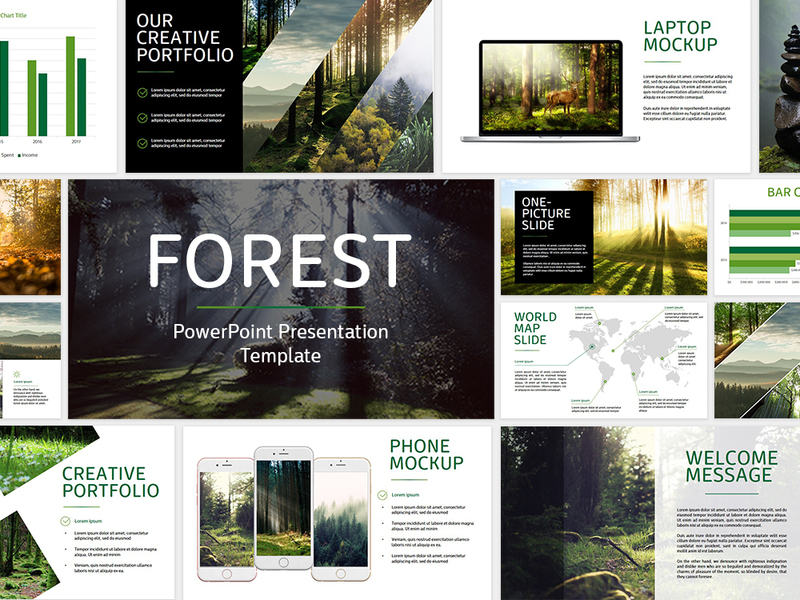 Forest is a modern and professional PowerPoint presentation template. This template has a variety of great features including creative photo placeholders, overlays, diagrams, maps, mockups and much more!Present your company or idea in a creative and professional way with Forest – A Modern PowerPoint Template.130+ Unique Slides + BONUS: 3300+ editable vector icons, 40+ Cool device mockups and 50 editable vector maps! All images in the demo are just for preview purpose only and not included to the files. But if you need information about these image stocks, feel free to contact me.